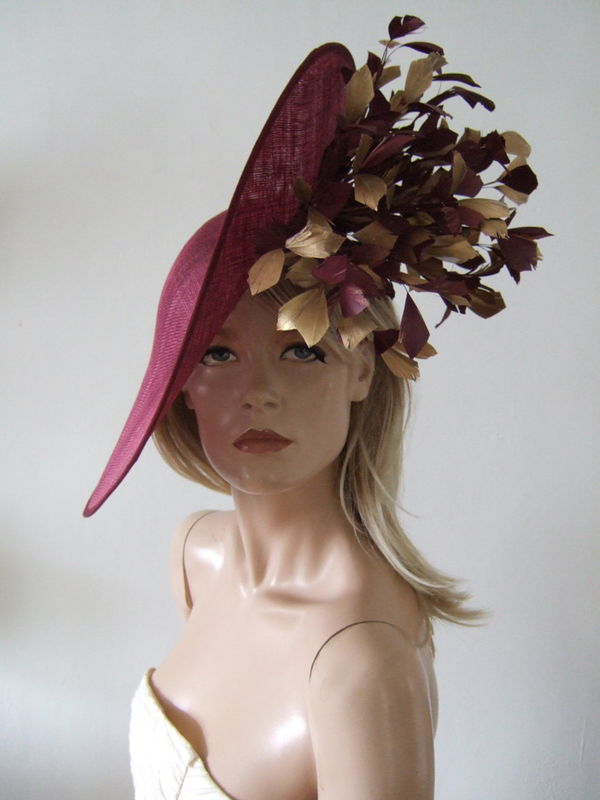 Modern Slice Headpiece from Contemporary Irish Milliner Aoife Harrison, in port burgundy sinamay. Dressed with feather tree over the head / under slice of Gold and matching port diamond shaped goose feathers. A pretty headpiece that could be suited for both summer and winter outfits. £60.00 per day, plus £100.00 deposit refunded on return. Slice Saucer Measures 16.75"x17", Feathers arrangement has a height of 9" and width of 12.5".